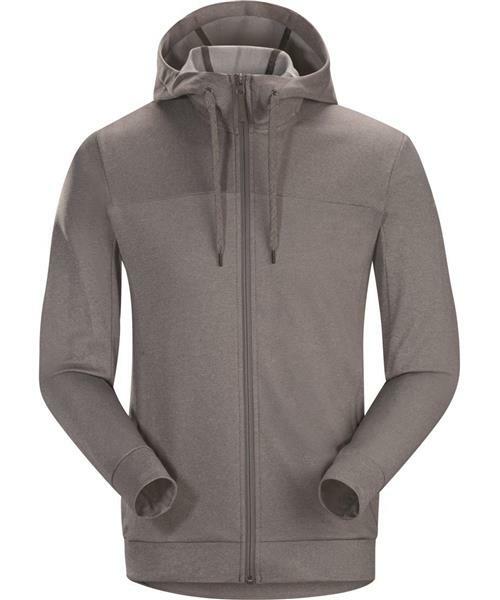 The Slocan takes the classic hoody and gives it a technical upgrade. Alwyn™, a lightweight performance fleece is warm, soft, resists pilling, and has heathered face that gives the Slocan some visual texture. Two handwarmer pockets with brushed liners and the simple, relaxed hood add some warmth. The regular fit is comfortable, but has clean, athletic lines for a more tailored look, and gusseted underarms elevate freedom of movement. The Slocan is a great piece for travel and daily life, and is built with precision craftsmanship that is pure Arc’teryx.